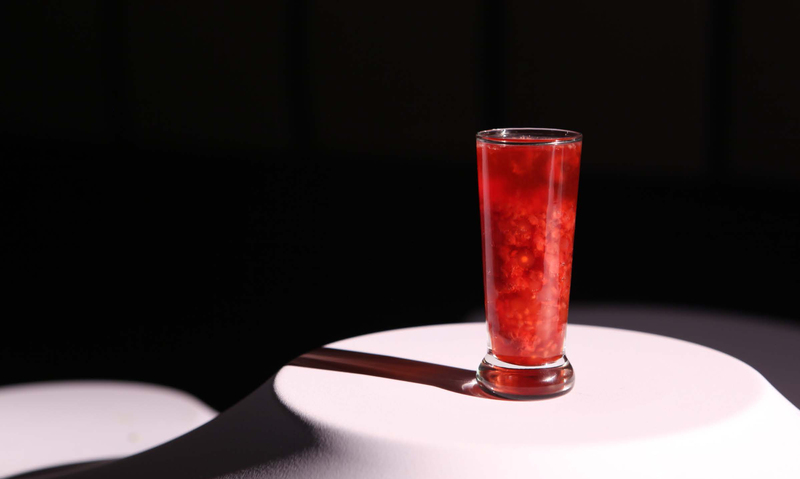 DIS.COURSE is a responsive dining landscape created for the Experimental Media and Performing Arts Center, Troy, NY to follow Ralph Lemon’s premiere of Four Walls. 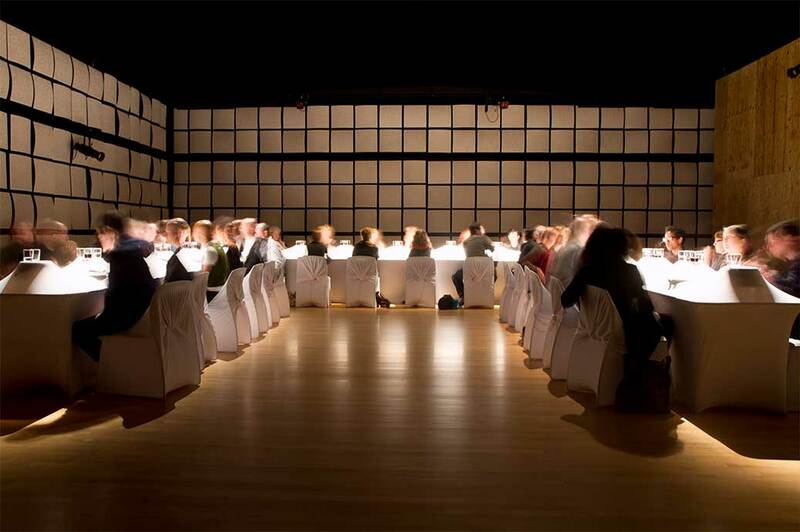 The dinner was commissioned to provoke 40 top performance art curators in discussion of where the boundaries of performance exist, outside of the theater. 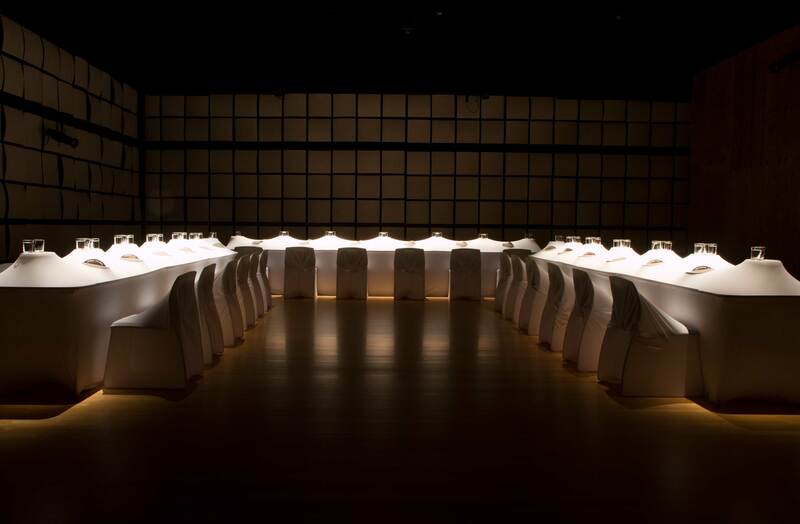 Taking as tenet that the act of eating is a performance of the everyday, and that the table is the metaphorical stage for this performance, the resulting artifact is a dining surface made from 180 yards of spandex stretched over a variety of convex and concave forms. 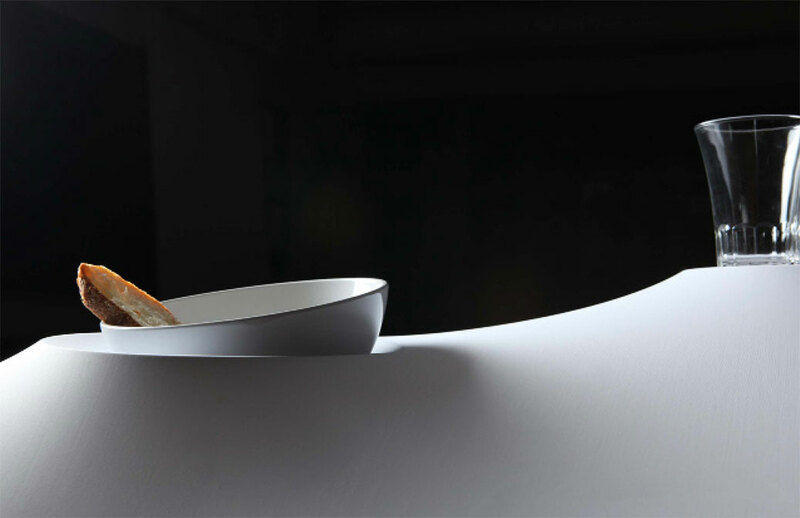 As food is placed on the surface, the vessels “dance”, creating a mini performance for the diner, thereby reversing food and audience, meal and performer. The goal is to playfully question and subvert the traditional dining format and engagement through the use of form, material and movement. 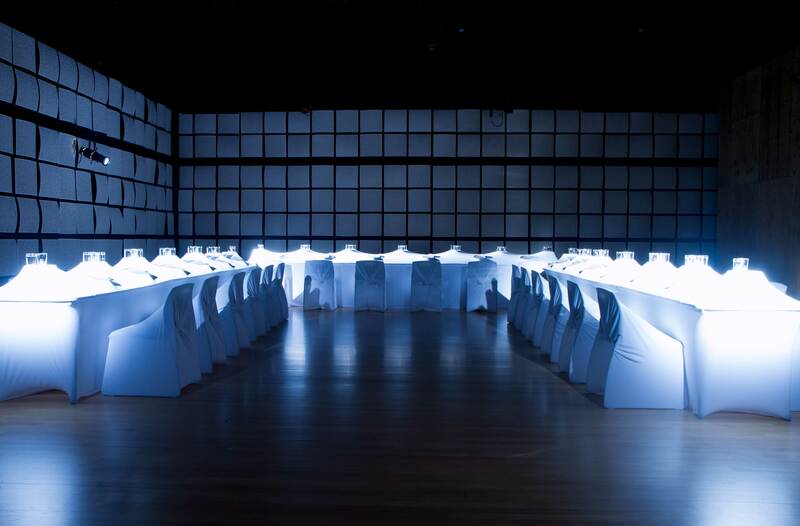 Over the course of the 3 hour meal, the light changes from dawn to dusk, changing the appearance of the table with shadow-play and marking the passage of time. 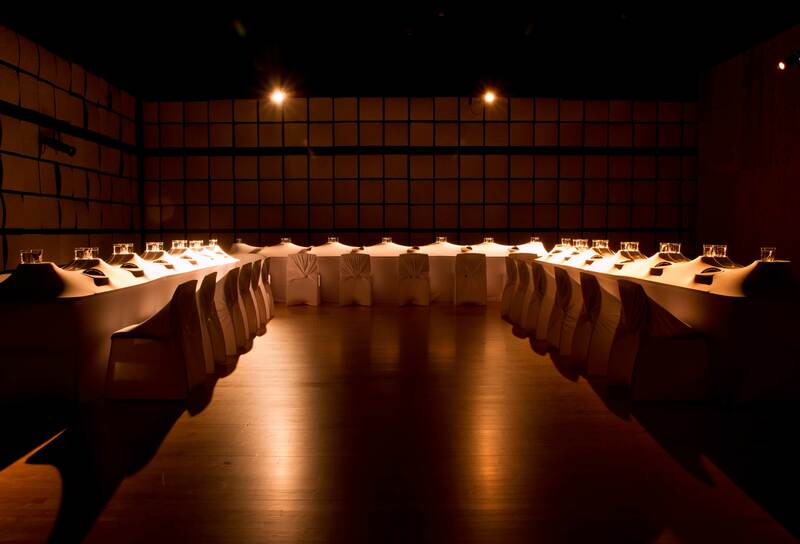 Grey, circular napkins were laser cut with each guest’s name and projected their identity onto the surface. Food by Pamela Yung and Jose Ramirez-Ruiz, Brooklyn. 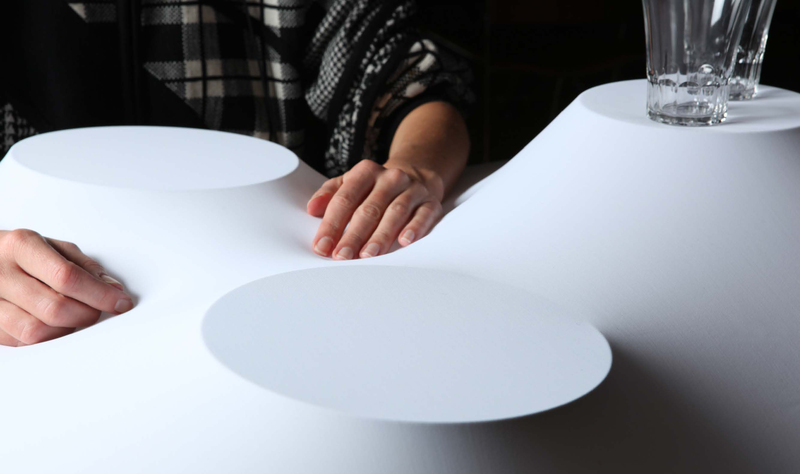 Design & material development with the assistance of Miguel Olivares.